Kosher Info: Stockholm’s only kosher store is a market called Kosherian located at Nybrogatan 19. You have to go through a gate to find this address. It isn’t directly on Nybrogatan street and you may go through security to get into the building. While Kosherian’s website (www.kosherian.se) says you can get sandwiches made there, there was no such service being offered on my last visit. The store is small an offers over priced Kosher products, mainly Israeli, majority of which was useless without a kitchen. There is a kosher list of products found in Stockholm that the chief rabbi has available online. Many kosher Stockholmers will eat at a local vegetarian restaurant as kosher eateries are non-existent. 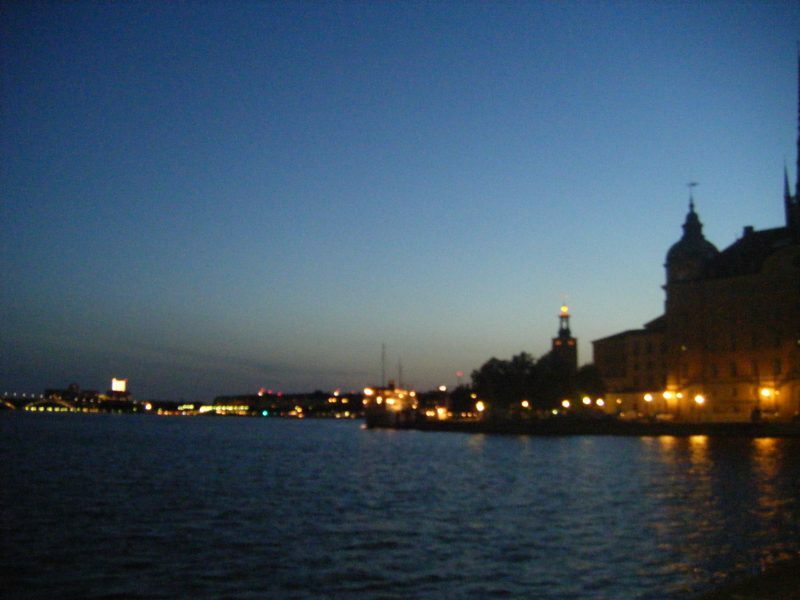 Tourist Info: Stockholm is undeniably one of the world’s most beautiful cities. The city is clean, diverse, and rich in culture, history, and flavor. The city has a great cosmopolitan vibe throughout each of the many islands that make up Stockholm. Its metro system is fast, efficient, and clean, while its buses are hot and more complicated to use. Sweden is known for its architecture and its capital does not disappoint with both modern and historical buildings filling the skyline. 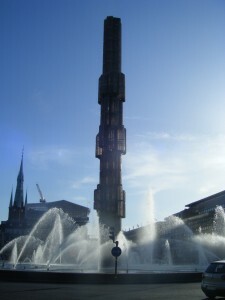 Stockholm is filled with plenty of tourist sites and about 100 museums. Each island of the city has a few places to visit or just hang out. Having said that, not every museum is exciting as one would hope. Some are better than others. On Djurgarden you’ll find beautiful parks, cafes, gardens, museums and port-side markets. The Vasamuseet (ship museum), Aquarium, and other large museums on culture and ships. Skeppsholmen is a small island home to a few museums such as the Modernamuseet (modern art museum) and the Arkitekturemuseet (architecture museum) next door. These are a short walk south of the city’s main island and east of Gamla Stan, the old town, which is quaint and has its own unique flavor. There are many more locations worth visiting when in Stockholm. You could easily spend a week or more around the city and its surroundings. Outside the city you can find a royal castle and the beautiful archipelago. The locals in Stockholm are not the friendliest in the region. Stockholmers are known to have a “nose-in-the-air” attitude. In our few days there we had people bump into us without apologizing, and we had numerous people rail on why America is bad. On that note, we also passed by an anti-American rally staged in the city center which was mainly attended by Muslims, and some Swedish locals. Despite this, the city is extremely safe. Jewish Info: The Jewish community is a mixed bag, some friendly, some not. They do have a decent sized Jewish community, although most of it is dispersed. The Chabad of Stockholm is extremely friendly and inviting. We ate our Friday night meal with his family and other locals and visitors. Shabbat lunch and Shlosh Seudot we ate with the rabbi and the rest of the community in the shul (Adat Israel). There are 2 orthodox shuls. We went to Adat Israel located on Sankt Paulsgatan 13 (Right entrance). The closest subway stations are Slussen or Mariatorget. It isn’t so easy to find because it isn’t marked (on purpose I bet). There are multiple entrances so be aware. The other shul is located closer to the downtown area. Adat Jeschurun is situated on Riddargatan 5. If this entrance is closed you can also enter through Nybrogatan 19 (The Jewish Center). The closest subway station is Östermalmstorg.